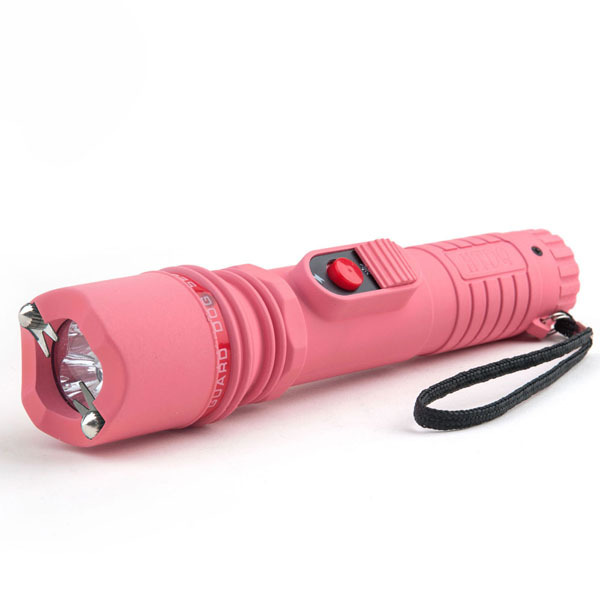 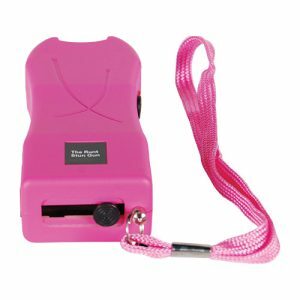 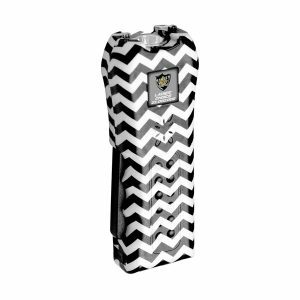 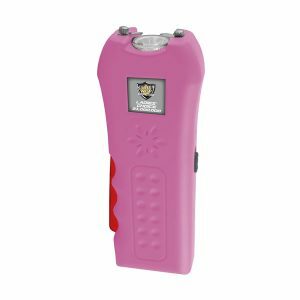 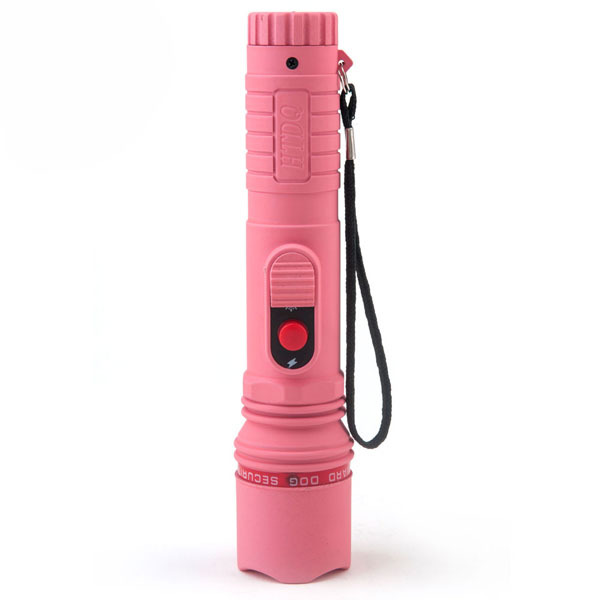 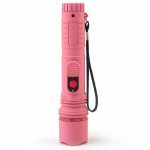 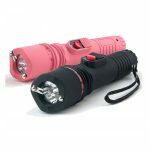 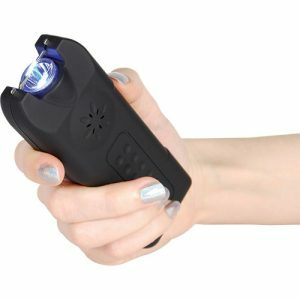 High voltage stun gun features LED flashlight, rubberized non-slip body for secure grip, safety switch, is rechargeable, and includes a holster and safety cap. 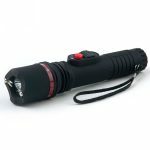 The Guard Dog Inferno features a fully rubberized non-slip grip body to ensure a soft and safe grip when using it as a household flashlight. 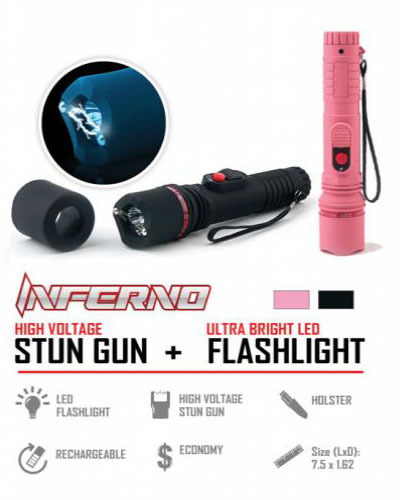 The front of the Inferno boasts intimidating quadruple prongs on each side, enabling the stun gun to fire two simultaneous sparks loud enough to scare an assailant by the sound alone. These double sparks can be seen, heard and surely felt by any unsuspecting criminal. 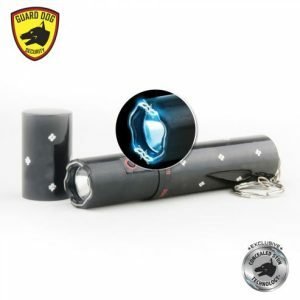 The Guard Dog Inferno comes with a safety cap and safety on/off switch so the flashlight stun gun is safe from accidental discharge and kept deactivated from children. 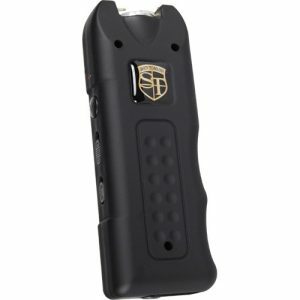 Included is a convenient charging cord, plugging to the back of the Inferno whenever required, and a nylon holster.